What to Pack/ What not to Pack for Studying Abroad - Blog Away! This is all I took to start my life in a new country. With the semester coming to an end, some of you will be heading home for winter break to spend time with friends and family. The other half of you will be preparing to set off on adventures in foreign countries. And if you’re like me, you have no idea what to expect, let alone what to even pack before you go. Lucky for you, I’ve compiled a list of things you should take and what should leave at home. I would recommend checking the “Before you Go” section of the U.S. Department of State’s website. There you can find information such as climate, level of conservatism, and whether it’s an urban or rural area. This will help you make a more informed decision. I spent three semesters in Mexico, so this will be from the perspective of long term programs. Since for a short term program program of one week, you won’t need to be as mindful when packing. Now this doesn’t mean throw everything you own into a suitcase. Which if you can avoid, I would avoid suitcases all together. 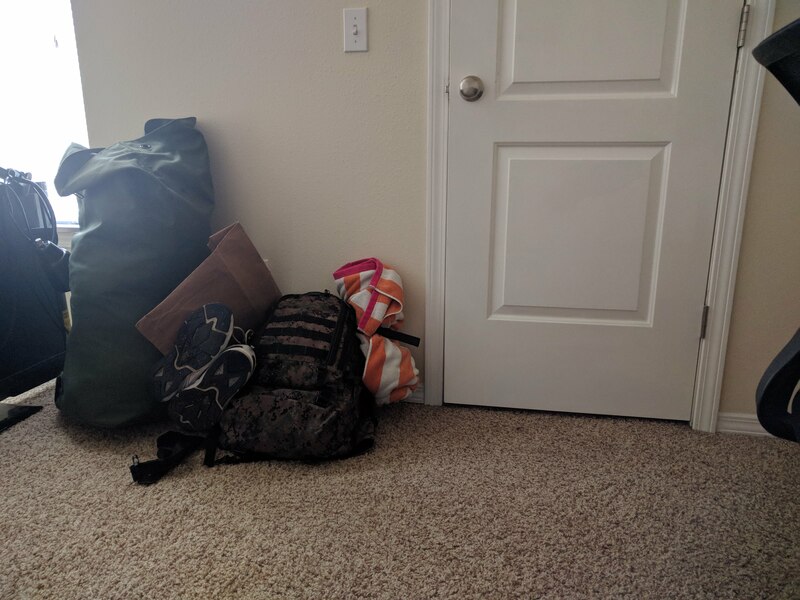 A find that a military style duffel bag can fit more and is easier to travel with because you wear it just like a backpack. Plus you don’t have to worry about size restrictions or wheels breaking, because it doesn’t have any! Back to the clothes though, if you haven’t worn it in the past two months, don’t take it. If you haven’t worn it here, you won’t wear it there. Pack a weeks worth of clothes and one dressier outfit that can be used for class presentations and other formal events. You can always buy clothes once you get to your host country, and trust me, you will. Also, take a hoodie. Even though I was in Mexico, the elevation of my city was at 6,000 feet (1828 meters) which made things a little chilly. Once you leave the country, mailing things to you can become expensive. So take your phone, tablet/ laptop, headphones, voltage converter (if that applies to you), and shaving devices. Double check that you have your headphones with you, don’t be like me and realize you forgot them halfway to the airport. Also, take all the related chargers to those devices. Now these don’t have to be anything too extravagant. Pretty much anything with your city on it or from your city will work wonders. Since I’m from Kansas City, I brought a bottle of Gate’s BBQ sauce to give to them. However other things like postcards, fridge magnets, and snow globes can also be good ideas. One of my roommates gave our host mom a travel journal so the students she has after us can write little notes to leave behind. You’ll be able to find the vast majority of over the counter medications in your host country. However, if you’re taking prescribed medication, it might be worth it to talk to your doctor about getting the amount you use to take with you for the duration of your program abroad. Also the quality of feminine products varies greatly in other countries. So depending on how adaptable you are, you might want to bring your favorite brand with you. Combs and Afro hair picks can be hard to come across in other countries. Be sure to take a spare or two in case the one you have breaks. Also take enough natural shampoo and hair grease to get you through the year. And that’s it. You need nothing else to get you started in your host country. I’m a pretty bare bones person and I knew that I wanted to have space for clothes and souvenirs I bought in Mexico to bring home with me. Trust me, Walmart exist outside of the U.S. ( or at least some similar version) and you can buy those things when you get there. I arrived to Mexico at night and the next day I went to Walmart with my host family to get everything I needed. I saved weight and space by doing this, plus the items were actually cheaper in Mexico than in the U.S. for the same products. For the people going where the voltage is different, do not even think about taking these items. Even with the voltage converter, these things will fry. just buy them once you get there. Do not take the necklace that has been in your family for generations. If you won’t be able to move on with life if it gets lost or stolen, don’t take it with you. You can buy it once you get there. Trust me, you’ll love having the space to bring back gifts for yourself and your family. And if you simply just can’t live without out something once you get abroad, DHL and FedEX will gladly ship said item to you. At the end of the day. You do you fam. I’m just a man on the internet.